Amazon is the largest online superstore. You can find everything you need from books to baby products and more. 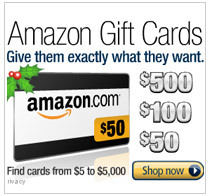 Amazon is a trusted online shopping store that carry the lowest prices you can find online.